Are you looking for reliable lawn mowing or gardening services in the Auckland region? The Auckland region now contains the latest and growing number of operators servicing every type of lawn and garden service. The Auckland region is serviced by a talented, dedicated crew of lawn & garden professionals that began early in 1991, when founder David Serville saw a need for quality, affordable lawn and garden services. He also had a passion for training and supporting local lawn mowing operators who could own and operate their own business with a healthy lifestyle. Crewcut was created when I realised the importance of service consistency and maintaining professional standards across the entire lawn mowing business. The Auckland team takes great pride in providing you with the right solution for your lawn & garden, whether it be casual or regular help. 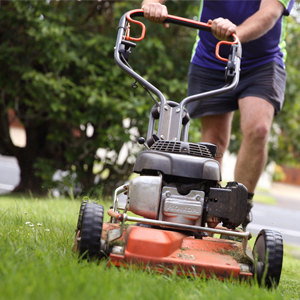 If you're looking for a local Auckland lawn mowing and gardening service give us a call, we'd love to hear from you. Thinking of running your own successful lawn mowing business in Auckland? We currently have business opportunities available- click the button below to find out more.